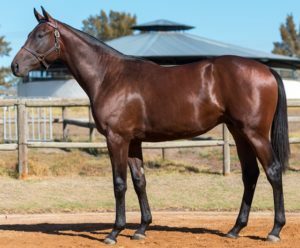 The 2018 Emperors Palace National Yearling Sale will be remembered as a resounding success, with a good spread of money across the boards-despite having to overcome a tough economic climate. The three day sale ended with an aggregate of R140 240 000, which was an increase of a impressive 25 % on the 2017 National Sale’s gross total of R112 075 000. Day one ended with an aggregate of R98 000 000 and an average of R600 000 and median of R340 000, while Wednesday’s trading ended with the average and median reaching R197 000 and R160 000 respectively. Thursday’s final day saw the aggregate reach R40 000 000 and average R190 000, while the median was R140 000. One of the great positives to take out of the sale, was the each day saw an 80% clearance rate. Form Bloodstock ended the 2018 National Sale as leading buyers, with Jehan Malherbe signing for 37 lots for a gross total of R22 050 000, while Mauritzfontein was leading vendor, with the farm grossing R13 615 000 for their draft. 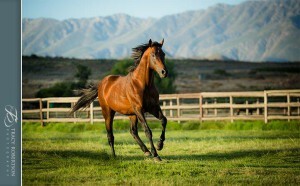 Late champion sire Captain Al enjoyed a truly sensational sale, and was responsible for four of the top six lots sold. The eight times champion sire of 2yos grossed R21 665 000 for his 15 yearlings sold. Dynasty colt Track Attack (Lot 191) topped the sale when knocked down to Form Bloodstock for R5.2 million. The imposing colt, consigned by Varsfontein Stud (As Agent), is a half-brother to four winners, most notably exported Equus Champion Yorker. Track Attack is out of the stakes placed Al Mufti mare Little Indian. Riverton Stud consigned the top filly, with Cousin Liz (Lot 150) knocked down to Kerry Jack Bloodstock for R2 900 000. The filly, one of six yearlings by former champion sire Captain Al to fetch R1 000 000 plus, was produced by the winning Parade Leader mare Fiesta Queen –a half-sister to G1 winner Fair Maiden.